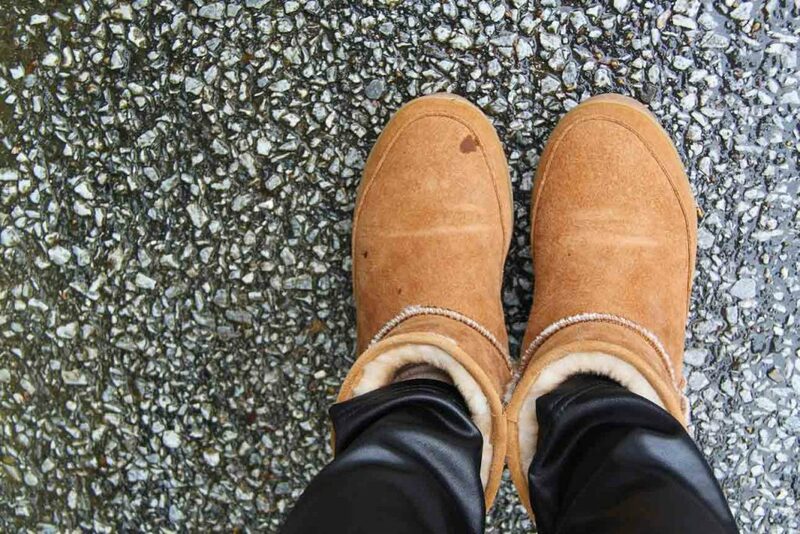 There are shoes that permanently stink and you experience foul odors from your shoes even when they are on your feet. 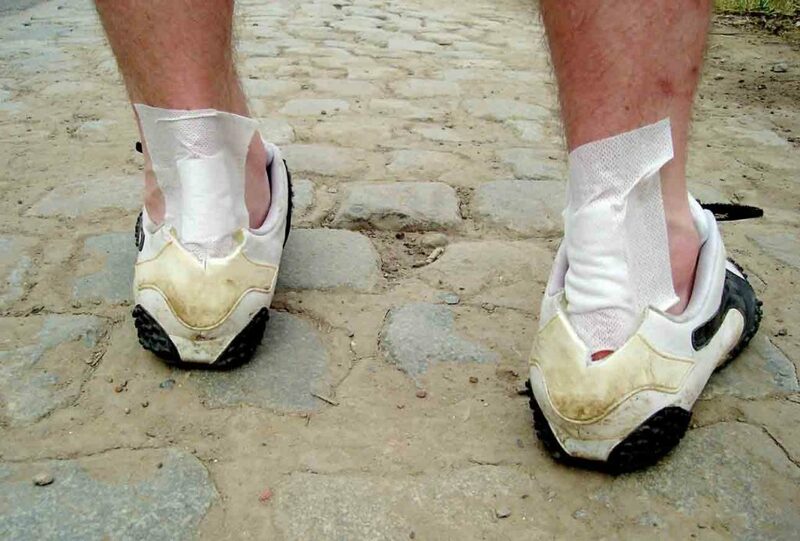 If you have such shoes it’s high time you treat them with the best shoe deodorizer. 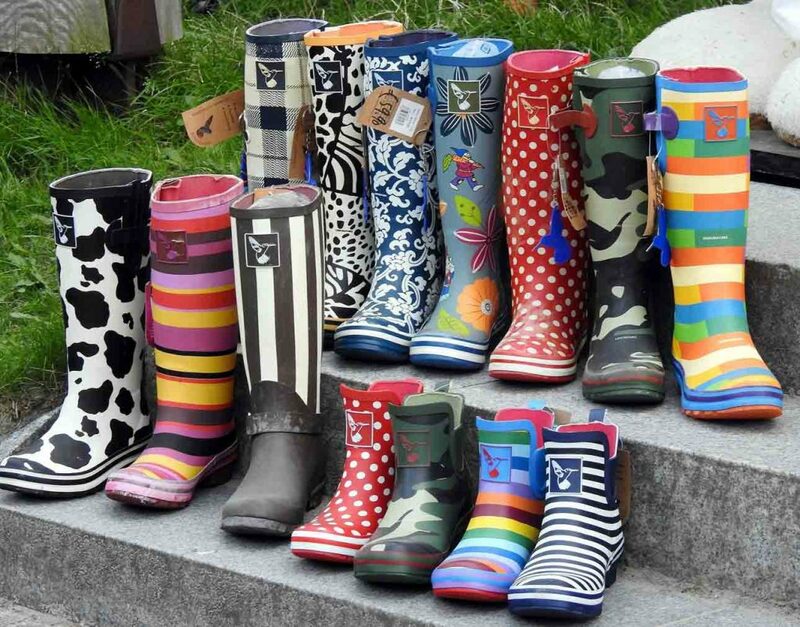 There are various such products to help you disinfect your shoes in an easy and friendly way. Some are natural while others are electrical. It is best to disinfect your shoes before you deodorize them. It allows you to kill germs and eliminate the growth of bacteria way before you can deodorize them. Health wise you also ought to wash your feet and your shoes often to remove dirt and kill germs. There are mainly two types of deodorizers available in the market. Electric and Natural. Let's understand which is better and why? These are deodorizers that use electricity to eliminate the bad odor, bacteria, fungi and mold that is inhibited in the deeper parts of the shoes. It is important to note that this is the most effective method for many today. The electrical product is far much better than the shoe powder or spray. The electric shoe deodorizer has been proven and trusted to give good results. 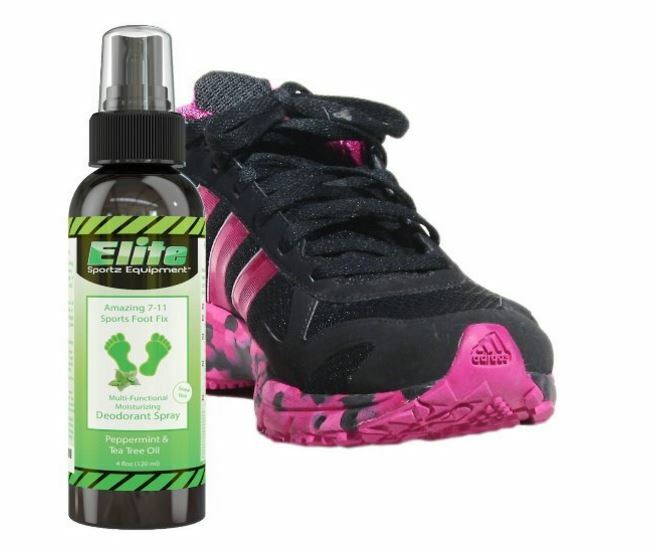 It eradicates germs that cause athlete’s foot and foot odor bacteria right from the inner boot leaving a clean place for your feet to enjoy living. It’s A Dryer Too: Even as a shoe deodorizer, you can still use it as a dryer too. Use it to dry your wet gloves, hats, heavy socks, jackets, etc. Do not allow bacteria to thrive in your home use the shoe deodorizer for almost all your drying needs. Ozone Technology: Ozone is a powerful antimicrobial agent that kills off all types of bacteria, virus, and fungi that cause your feet, shoes, and socks to stink. It is also a potent odor remover that purifies the air in your shoes eliminating the stinky smell altogether. Remember Ozone is not good to breathe in, always operate the deodorizer when closed. Removes The Odor Totally: The electric shoe deodorizer takes away the source of the odor and eliminates the odor itself. It does this by penetrating into the thick insole areas where bacteria and fungi breed in large numbers and deodorizes every part of the inner shoe and sole leaving them dry and bacterial free. 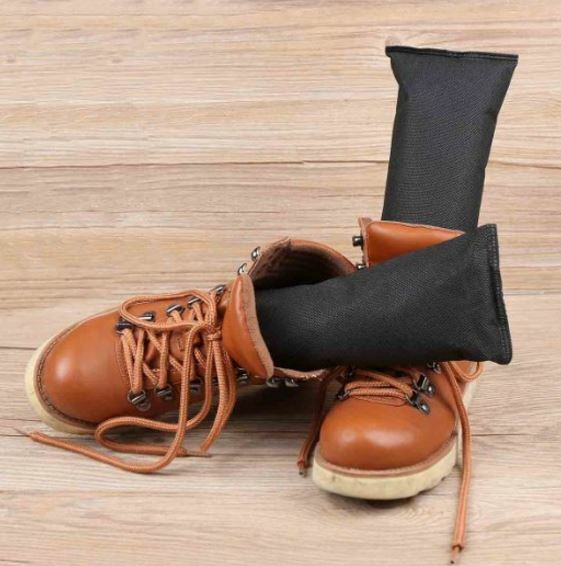 The Electric Dryer Is Convenient: No more stuffing old newspapers in your boots to make the dry up, no more using your radiator to dry those mittens! The electric dryer is simple to use and convenient for anyone and everything that requires proper drying. It is a one step process – just insert your shoes into the deodorizer, set a timer and switch it on. 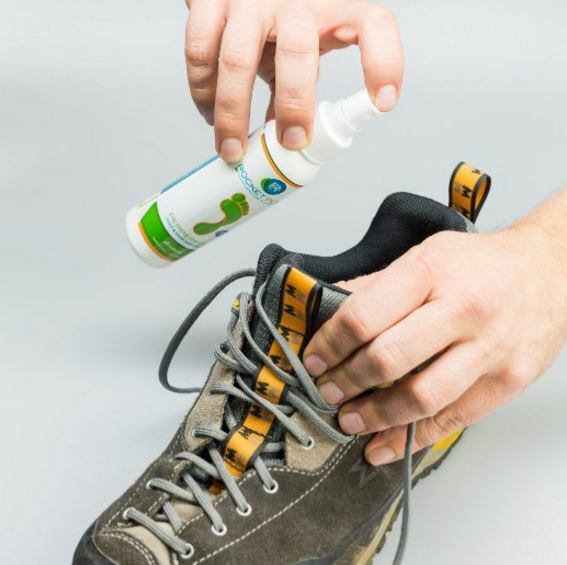 No Additional Costs: Once you buy your shoe deodorizer, you do not need to buy the sprays or the foot powder. The shoe deodorizer does not ask for filters or cartridges or anything else; it comes complete and ready to use. Does Not Damage Your Shoes: Even with the use of Ozone, this device does not damage your shoes. Ozone only destroys things when they are exposed for a longer period more than necessary. Only use the deodorizer for the required amount of time and do not over expose it to heat. These are the deodorizers made from 100% natural materials and are used to eliminate odors and bacterial infestations in areas where they are highly breeding. The natural deodorizers are safe for use at home or anywhere as they are made of natural products. Most of them are sealed up in small nicely done bags that allows the deodorization to occur without the natural products inside spilling out. Many are produced by hands while others are machine made, but all hold the same high quality. The quality of the natural products is potent making most products reusable for a long time even up to three years. Learning to use natural, electric or chemical processes to eliminate odors and bacteria is a sure way to get those stinking feet, shoes and socks smiling again. Natural Deodorizers are a sure way to living in a clean environment that gives us the freshness that we need to experience every day. The faster you learn the secret of natural products the better to leave your surrounding safe and healthy. Allows You To Use A Sustainable Product: If you care about the environment, using a natural product is ideal for the purpose. You not only keep the environment happy but the health too. Natural products last longer because a little goes a long way due to their concentrated aroma. Eliminate Cases Of Toxicity: Most chemicals are toxic; they may treat one and give a side effect to another. The more reason we should embark on natural that is 100% friendly to everybody. Besides a few allergic reactions that very few people have over nature and its scent, the bigger percentage is comfortable with the natural products. Besides, most of them now come fragrance-free. A Product That Works: It is not trial and error, No! You are using a product that has been tested and proven to work in surprising ways. Natural products are produced to make a difference in whichever area they are to be used. That’s why it is wise to get a natural product especially for use at home due to its effectiveness. In today’s market, it 's hard to find anything that you can rely on. Steer clear of the low-quality products out there. Therefore it is advisable to enlighten yourself of different brands that you can choose from before you make a purchase. It is an electric deodorizer that provides an easy, effective way to eliminate odor from all kinds of shoes. 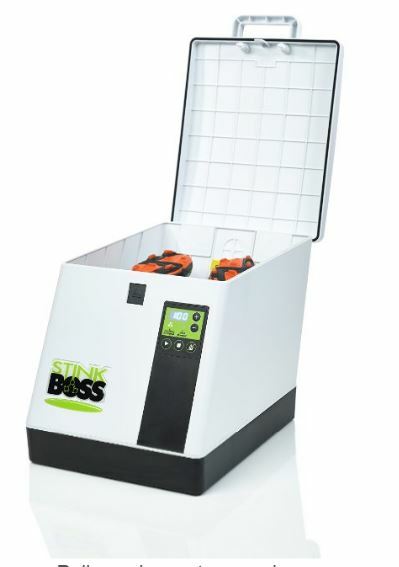 Simply place your smelly gear inside the StinkBoss, close the lid, select your setting and leave everything be deodorized. This shoe deodorizer does not affect or damage delicate materials of your gear whether it is leather or any other fabric. This shoe deodorizer generates up to 75 degrees F and circulates the Ozone properly in the enclosed gear. This is the best efficient and most powerful disinfectant that is commonly used in hospitals and research facilities to create a sterile environment. This deodorizer has no additives and needs no replacement parts thus no recurring costs for use. It has different cycles both for little stink and a great stench starting from 30 minutes to 6 hours. Cleaning it with just a simple damp cloth is easy. It measures up to 16.5 x 22 x 15 inches. It deodorizes not just your shoes but all your current gear and kills bacteria that cause odor. It is the only deodorizer that has an enclosed design for easy ozone circulation in and out of the smelly gear. It has ozone that kills 99% of all harmful bacteria without any damaging effects. Helps your shoe last longer and stay in good shape. Does not ship outside of the United States. It is a natural air purifying bag and the driest bag. Besides the shoes, It can be used in your car or home as well. It lasts three to four years and can be reused many times. You simply need to place it in the heater for about three hours or microwave it for 5 minutes and then reuse it. It contains about 0.5 kg silica that can hold up to 800 g of moisture. Leaving in at the dashboard of your car overnight or sticking it in any storage box shelf area eliminates all odor by morning. To absorb all the odor from shoes, hang or stick the bag inside a cupboard or box. It is a house freshener as it keeps your windows clear from moisture. Due to the silicon’s high absorption rate, it is important to store it in a cool, dry place when not in use. Each package comes with two bags of 500 g each. 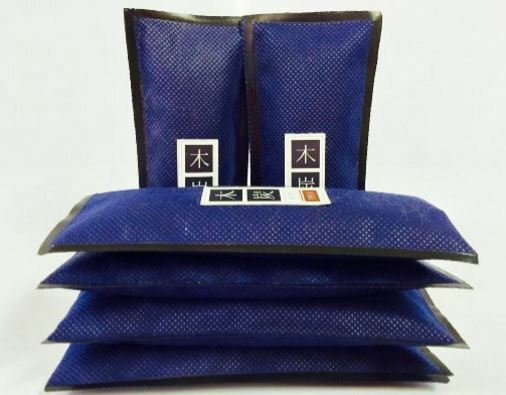 They are very affordable and are the best natural absorbers. It prevents the growth of mold, mildew, and bacteria. It can be reused therefore it lasts long. It does not leak off its contents. This is a natural purifying bag that naturally removes odors from shoes, bags, closets, and cars. It is a non-toxic fragrance-free and chemical free product that is highly effective in absorbing odors. It lasts long for over two years and is rejuvenated in sunlight. Made of charcoal, it dehumidifies preventing mold, mildews, and excess moisture. It is a handmade product made from South Korea for use in the United States. It measures about 8 x 1 x 7 inches weighing about 0.6 ounces for each. 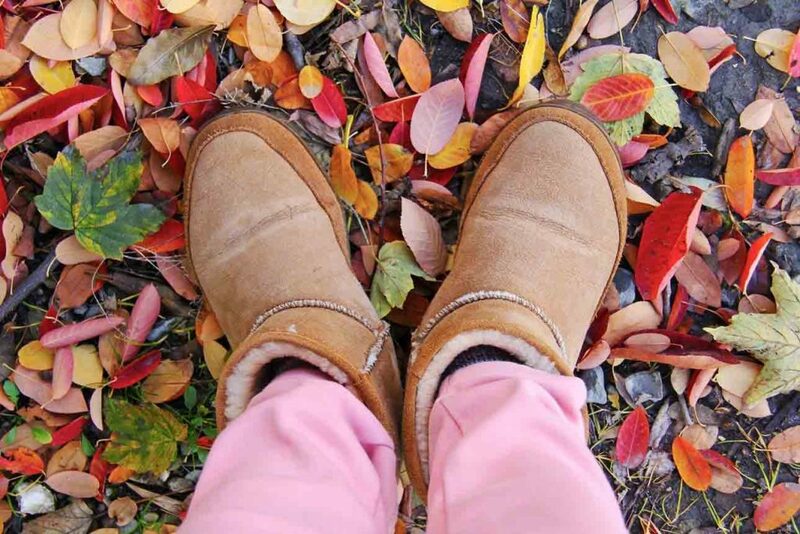 Once slipped on the shoes, they naturally eliminate all the odor and leaves a natural scent that is pleasant to both your nostrils and feet. The most outstanding thing about these charm naturals is that they can be used in various items and situations to fit your needs at home. It is reusable for two years. It is non-toxic with no chemical reaction. It is fragrance-free allowing anyone even those with fragrance sensitivity to use it. It is ideal for athletes as it eliminates all odors and stank from bacteria. This mint spray freshener is much better than the powders, antiperspirants and is great for soles and sneaker balls. It is best used on feet and shoes. This spray contains mint, eucalyptus, tea tree and thyme all made of natural. It is easy to use as it only requires you to shake the bottle well and spray directly into your shoes right after they have been washed. You can also spray directly on your feet as it is harmless but ensure you let it dry before putting on your socks. It is an ideal spray for those who are in full activity the rest of the day like cyclists, rock climbers, Zumba fitness workouts, athletes, hikers, skiers and any other sport that involves plenty of sweating. It is also great for those with smelly feet naturally and wants to eliminate such smells. It is made in the U.S for U.S with a 100% guaranteed satisfaction. Offers a money back guarantee. It is more than just a shoe deodorizer. The unique formula is equipped with many medicated characteristics. Not only it eliminates the foul smell out of the shoes but from the feet as well. The ingredients like Aloe Vera, Coconut, Coconut soothes the dry and cracked skin and brings back its moisture. It doesn't just suppress the stink but also kills the bacteria to prevent any infection. If you want to go with a spray option, this is the best shoe deodorizer for you. Grab it without even second thought. Contain essential oils that cure cracked feet. Only for US citizens. It doesn't ship internationally. It is wise to invest in anything that makes your feet comfortable. 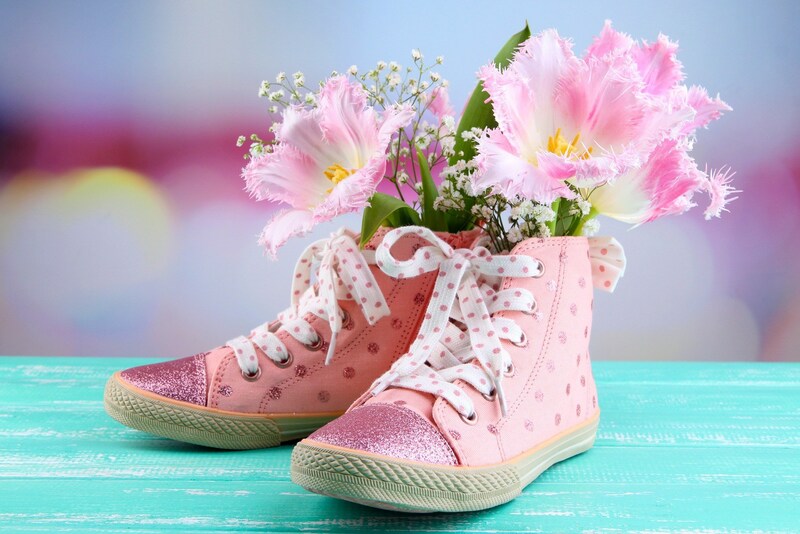 For most of the time you are on your feet for a good part of the day, not taking care of your shoes and feet will in return cause poor health. Having smelly feet does not mean that’s the end of enjoying life around people, you have very flexible deodorizing methods to choose from your favourite method. For shoes, that stink, even after passing through the deodorizer, only throw them away. It may be a case of bacteria infestation that cannot be cured, so it’s easy to throw it out. Otherwise, it will adversely affect your feet health. For both the electric and natural lovers you have been presented with options for best shoe deodorizer that are way better to choose from and that work effectively to restore your dignity, confidence, and health. Grab Your Choice.